We met Valerie and Brian in mid November when we visited Cooperslane to be sure they were the right breeder for us. We left very impressed with them and their beautiful dogs and quickly got on a waiting list for our choice of up coming litters. Since then we have done extensive hours of research and prep, asked Valerie about 1000 questions, each met with a thoughtful response, and enjoyed the exciting photos and updates about our pup! I can tell how dedicated and caring they are towards their dogs and clients by the care given to potential owners, how healthy and loving their dogs are, and the time and effort they put into placing the pups. 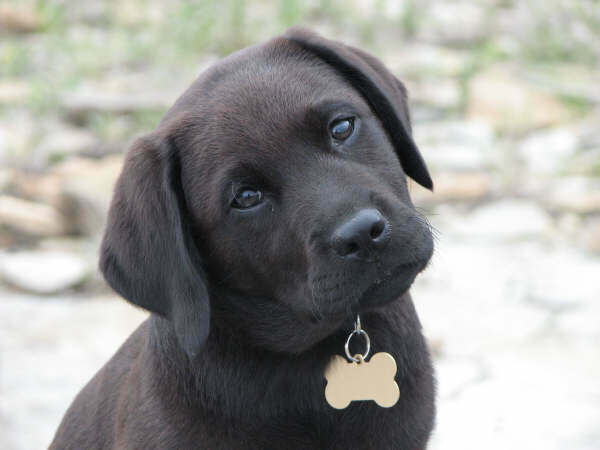 We have really enjoyed our visits and interactions with Cooperslane and highly recommend them if you are considering a lab puppy for a new family member. We are finally picking up our puppy on Saturday, and we are very glad to have Valerie and Brian’s support through the puppy stages and beyond! Congratulations on your new addition! If you are in the region, get in touch and we can add you to one of our Every Puppy Deserves Puppy Classes next week! We also have a FREE Puppy Play Group you can join. We believe so strongly in the match between good breeding and early training that we offer puppy classes for free for pups of the right age. You can reach me at sue@dogsinthepark.ca for more information. 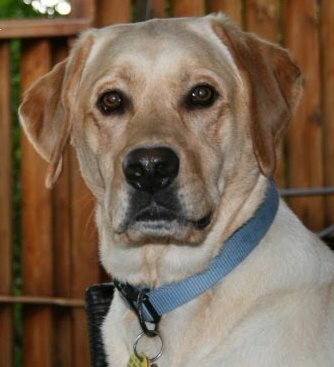 Our 2 1/2 year old yellow lab came from Cooperslane, as did my parents 9 year old black and their chocolate who unfortunately isn’t with us anymore. They are amazing family dogs, for kids and adults. Cooperslane truly does care not only about the health and happiness of their dogs and pups but also the adjustment and life of the pup/dog within the family. Going through their “adoption” of a pup is treated like a true family member being adopted into your family. Our dogs have always been a part of our family and always will be! Cooperslane truly cares!!! Just wanted to point out that the Cooperslane link at the bottom of the article is wrong. It’s missing the s.
On a different note: I got my 1st dog from Brian and Valerie. Great people, amazing dogs. MacKenzie has such a nice temperament, and I’ve been learning a lot from her these past 7-8 months. I can’t imagine my life without her. Thanks! I will change that now! When we went to meet Valerie and Brian we were still reeling a bit from the loss if our 13 year old black lab. No matter what anyone says, it doesn’t hurt any less if your dog passes when it’s “older”. We were impressed right from the start. The kennel is clean, gorgeous and well organized. Brian and Valerie are approachable, knowledgeable and will answer any question you have. Long story short, we picked up our beautiful black lab in Aug 2013 and have been so pleased with her. 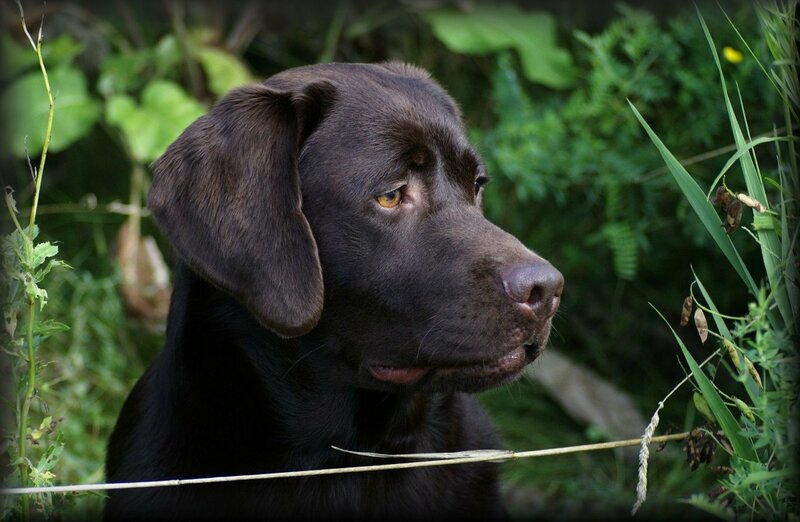 She embodies all traits that make the Labrador such a wonderful family member. I can’t imagine Calypso not being in our lives, she has surpassed all my expectations. We thank you so much, Brian and Valerie, for doing what you do, yours is to be an example to be followed. We bought our lab, Vincent, from Val and Brian at Cooperslane. Val was wonderful about answering all of the questions I had about the breed and – just as importantly – asking lots of questions of her own. She seemed dedicated to placing “her” pups with the right people. As a first time dog owner (I didn’t count the dogs I had as a child), it was wonderful to be provided with so much information on adjusting to life with our new family member. Val was great, too, at answering e-mails and phone calls with the questions and concerns I had during Vincent’s first few months with us. Vincent has been an absolute joy in our lives. He has an amazingly calm temperament that seems to be a trademark of Cooperslane dogs. We’ve met many of Vincent’s half brothers and sisters at the local dog park and have yet to meet one that wasn’t declared “wonderful” by the owners. I would heartily recommend Cooperslane to anyone considering this breed. I have nothing but great things to say about Cooperslane. Valerie and Brian are amazing to deal with and their facility is amazingly clean. I have had 4 female yellow labs from them. 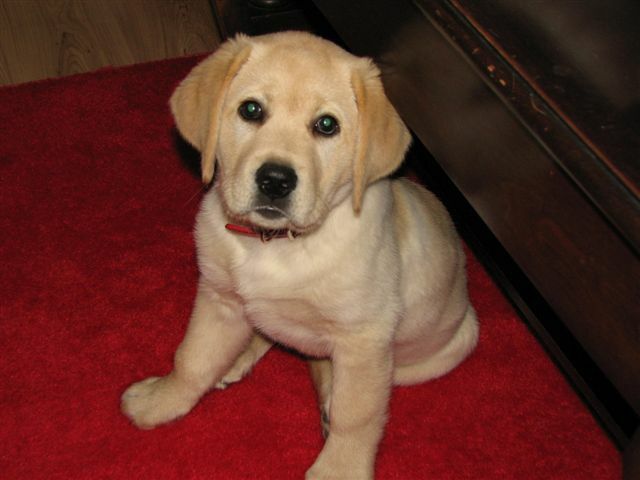 The first one Steffi came home when she was 8 weeks old and was the most amazing puppy around. I then got involved in the foster program and have had 3 generations at our house. Legacy was the first Foster dog, we have her daughter Katja (who just retired) and we have Katja’s daughter Ireland (who has had 1 litter so far). Labs are amazing family pets and are such a big part of our family. I have recommended Cooperslane to many of my friends who love their dogs as much as I do. Thanks Val and Brian for being such amazing people and caring for your dogs like you do. my husband and i visited 5 other breeders before we met Valerie and Brian. We were impressed with their kennel, their hospitality and their knowledge and concern for the breed. We cannot express how much we were satisfied with our overall visit and the steps we had to take to be put on the list. We finally became pet parents to a gorgeous yellow ( he was more white ) who we named George. He is now 7yrs old and still full of life. He makes us happy and fills our days with smiles, laughs and lots of love. We highly recommend Cooperslane for their love and understanding of the breed. They are very well known and we have met many many dogs from Cooperslane. They have a distinct look and when you see one walking with its owner you will know it a COOPERSLANE PUP. Thanks for the kind comments. This blog was a guest blog, so I don’t know if Brian and Valerie will read your comment. They still breed excellent dogs though!